Financial Services: Where is the FSA & will the BBA miss a trick? 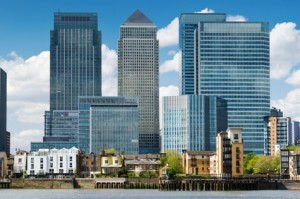 No, the answer is not Canary Wharf (though the FSA is based there). Over the last several months the Serious Fraud Office, the UK’s lead investigation and prosecution agency for serious fraud and corruption, have been on massive engagement exercise with corporate Britain. In an effort to demystify the Bribery Act and appear more approachable the SFO has engaged with corporates, given numerous speeches, presented at webinars and had meetings with law firms. It has made plain its position in relation to the Bribery Act and its enforcement. Do you have a burning question on the Bribery Act? Would you like to know about the SFO position on facilitation payments? If you care to look all this and more is available on the SFO website. If you prefer, you can even ask the SFO yourself either at one of the many events their representatives attend or you could approach them direct. The SFO approach is to be applauded. In stark contrast to the dozens of public appearances of the SFO over the last year or so speaking about the SFO’s approach to the Bribery Act – the FSA another investigator and prosecutor has been noticeably silent on the subject. Importantly, unlike prosecutions by the SFO in the Aon case there was no proof a bribe was paid. FSA regulated businesses are already under an obligation to put in place Adequate Procedures to prevent bribery and have been for some time failing which they can be subjected to enforcement action by the FSA. The FSA published a report in May 2010 about anti-bribery and corruption in the commercial insurance broking sector. Since then: nada, nothing, zilch. Against this backdrop a public statement about the FSA’s position when it comes to the Bribery Act or an FSA statement of guidance along similar lines to the Ministry of Justice guidance relating to Adequate Procedures to prevent bribery would be helpful. The BBA – more principles based guidance? thanks. There is promise of guidance from the British Bankers Association which is expected to be published in May. However at a meeting we attended earlier this month it was made clear that those hoping for more prescriptive guidance for the banking and financial services sector from the voice of banking and financial services would be disappointed. Attendees were told that the BBA guidance would not be prescriptive based on concerns to avoid imposing onerous guidance that could skewer those who did not meet it. The flip side to this of course is that the BBA are about to miss an opportunity to provide clarity to its members, which is a shame. In the meantime while banks and financial services companies get to grips with the Ministry of Justice guidance on Adequate Procedures to prevent bribery they should not lose sight of the fact that from an FSA perspective the deadline for putting in place such procedures has long passed.